The filing of a non-provisional utility application should encompass as much as possible about the product and how it’s being used, even how it is to be manufactured. Everything in that application/description/drawing/file establishes a priority date—the filing date that stops the clock for everything else that comes out. If you file something on January 1, 2016, and a week later, someone files for the same thing, you’ve beaten them by a week. I have two clients who both own small businesses. Both have important products protected by patents, but they have two very different outcomes. 2. After getting the notice of allowance, my other client—let’s call him John, he’s in the camping equipment business —said, “I think I’d like to make this less expensive, maybe have another line, a high-end model and a low-end model. And I want to take this feature out. Can I do that?” He could. Not only that, the feature he wanted to take out wasn’t necessary to show the novelty of his product, so we could refile, without that feature being claimed, and get another patent that will be much broader and cover both the high-end and the low-end products. Tom’s got a continuous connection back to his first priority base, which is now about four years old. His own first patent cannot be used to argue against the novelty of his claims in his subsequent applications. Meanwhile, he realized he can do things even more differently than he originally thought, so we filed a continuation-in-part (CIP). His product is the same basic concept, but the structure connects differently. The part that is new has a later date filing date, but the original concept in the claims has the original date. Now, Tom has possibly got three patents, all linked together, with the same original base for most of the products. But Joe can’t really protect any of his newer developments because his patent portfolio is closed with the last issuance. Many clients think they’re finished when they get the notice of allowance, but it’s important to continue the investment in the patent process. 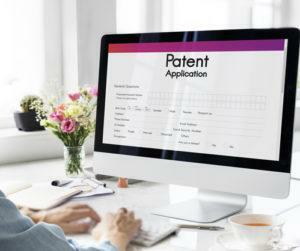 If you have an ongoing business around a product keep an open file at the patent office. That way, as developments come in—either in the marketplace or in your own research and development—you can continue on without having your own original patent used against you.